Israeli public broadcaster says 'error' caused broadcast of music written by anti-Semitic composer Richard Wagner. 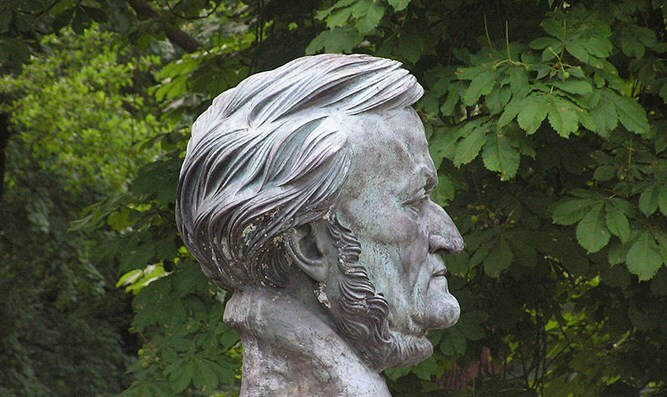 Israel's public broadcaster has broken a taboo on playing the music of anti-Semitic composer Richard Wagner, apologizing on Sunday for what it called an "error". The drama occurred on Friday, when the Voice of Music, the classical music radio station for the Kan broadcasting corporation, played part of Wagner's Goetterdaemmerung (Twilight of the Gods) opera. Wagner, whose grandiose and nationalistic 19th-century literary and musical work is infused with anti-Semitism, misogyny and proto-Nazi ideas of racial purity, was Adolf Hitler's favorite composer. While there is no law in Israel banning the German composer's works from being played, orchestras and venues refrain from doing so because of the public outcry and disturbances accompanying past attempts. A spokeswoman for Kan stressed on Sunday that "the directives of the Israeli broadcasting corporation have remained as they were for years -- Wagner's music won't be played on Kan the Voice of Music." "This is out of an understanding of the pain such a broadcast would evoke among the Holocaust survivors in our audience," she said in a statement. "The (musical) editor erred in his artistic choice to play the piece, and it was a wrong public decision," she said. "We apologize to our listeners." Kan's Friday misfortunes, however, did not end with their editor's controversial choice. A "technical failure" during the Goetterdaemmerung broadcast caused some 40 seconds of unwanted silence, after which the rest of the piece was played. "It might have been the hand of fate," the spokeswoman said. "The issue is being examined, and we apologize for it too," she added, rejecting conspiracy theories of external intervention to silence Wagner. Jonathan Livny, an attorney and head of the Israel Wagner Society, "welcomed" the public radio Wagner broadcast. "We're not playing the composer's opinions, rather the wonderful music he created," said Livny, whose father was a Holocaust survivor. "Whoever doesn't want to hear the music can always turn the radio off," he said.